Amy Lawton has been selected to play for the Hockeyroos in the FIH Pro-League match against NZ on Anzac Day. See the announcement here. Amy joined Southern United as a nine year old, and first represented Victoria in hockey in the Under 12 School Sport Victoria team as a ten year old. Amy has represented Victoria in hockey every year since with fifteen state representations in hockey, while also having represented Victoria in football (soccer) multiple times and triathlon. In 2017 while leading the Under 16 SSV team at the Pan Pac school games, Amy was joint Victorian captain of the whole Victorian contingent – across all sports. 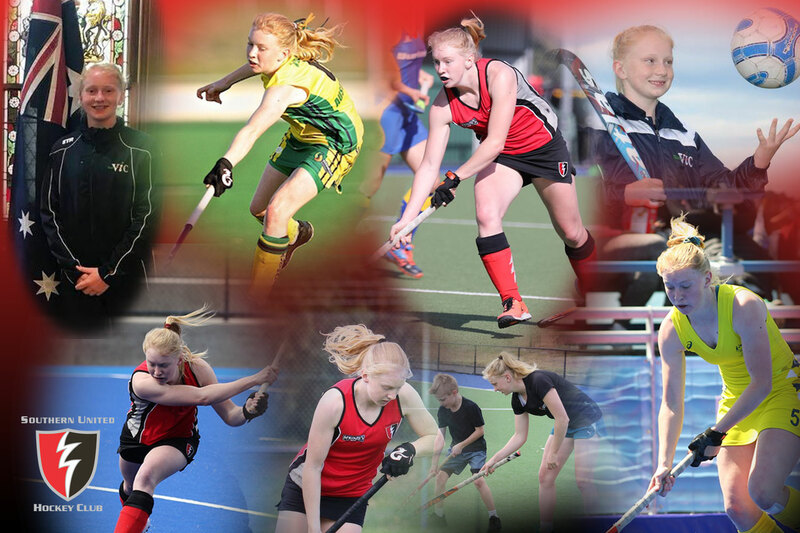 Amy toured in the School Sport Australia team in 2016 to South Africa and Europe in 2017. In Europe she was voted most valuable player. Amy was selected for the 2018 tour, but did not travel. In 2017 Amy was selected as part of the Hockey Australia Futures Squad, the youngest player ever selected, then in 2018 Amy moved up to the Under 21 Australian team in which she competed in a Trans Tasman series. Amy also represented Australia in the Youth Olympic Games in 2018, after being part of the Youth Olympic Game qualifier team. 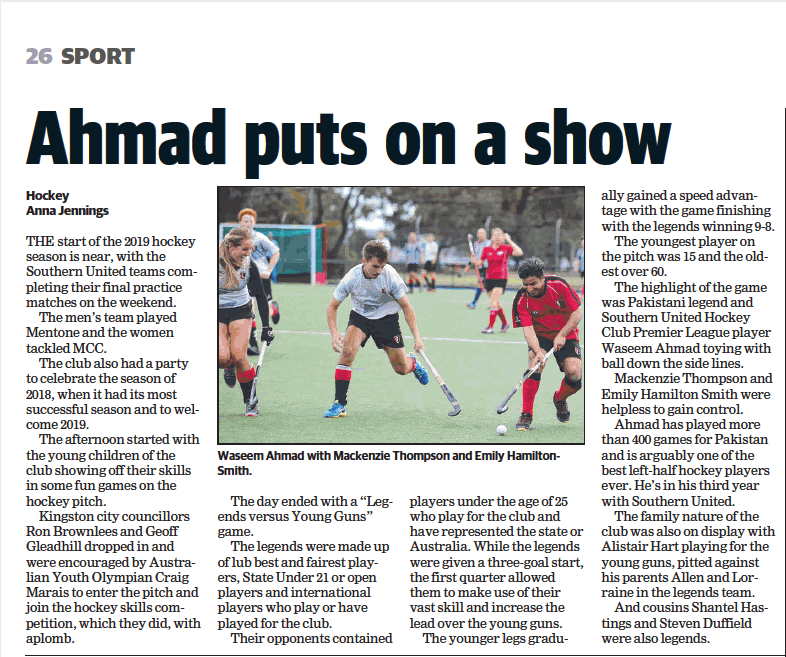 Amy’s talent was also recognised in 2018 when Amy won the Hockey Victoria Women’s Premier League best and fairest, with a count of 36 votes over the 18 rounds she played, eight votes above her closest rival, also winning the Southern United Under 16 best and fairest girl, and Southern United’s Women’s premier league best and fairest. How brilliant. The men’s premier league live for another week in the finals taking out the final against Waverley with a penalty shoot out. With brilliant work from Ed and the attackers – Nathan and Josh Ephraums, Brad, Waseem, and Joey 4-3. They play Altona in the next round of finals. Five junior teams are through to the grand finals, including four shield teams. A massive achievement. Southern United has had a great track record with junior girls shield teams with wins in 2011 – Under 13, 2012 Under 13, 2013 Under 14, 2014 Under 16, 2015 Under 16 and Under 12. Can our girls do it again with Under 14 girls shield with Shan and her merry band of coaches and Under 12 with Julian in charge. Our Mixed shield over the past few years has also had success. 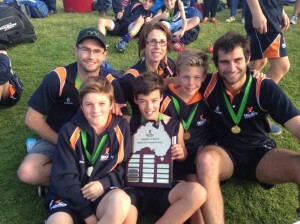 The club has had success with the prized mixed shield since the first win in 2014 when the under 14s won, with some of the current under 16 team. In 2015 the cohort of players in the under 14 mixed final won the under 12 shield, and some won again in 2016. Southern also won the under 16 mixed shield final in 2015, and were runners up last year with six of the current team. For the under 18s, this is the third year in the grand final, finishing up as runners up in 2015 and 2016. Burra have been stronger all year, but can Buddha and the boys and of course girl, take the premiership this year. Have a look at our website to see who the premiership teams of the past have been. The masters do not get much of a mention here, but do deserve it. A special mention to the 35+ Ladies who have finished as minor premiers AGAIN. They play their qualifying final at H-1 on Wednesday night. What a day. Southern in the premier league finals – first time ever. Eighth on the ladder playing Waverley fifth. At the end of time, 1-1, move to the shoot outs. 4-3 win to Southern, great work by Ed in goals, and Josh Ephraums, Nathan Eprhaums, Brad Marais and Wassem Ahmed find the net. Watch the final goal by Waseem. Next week on to Altona. Men’s Premier League Reserves also finished in a penalty shoot out after a 3-3 result at full time. Hammo was in full flight for the shoot out and after 5, the score was 1-1 with Jesse the only scorer. MUHC had the first try in sudden death, and Hammo did it again, Carlin then finished the game breaking the tie. 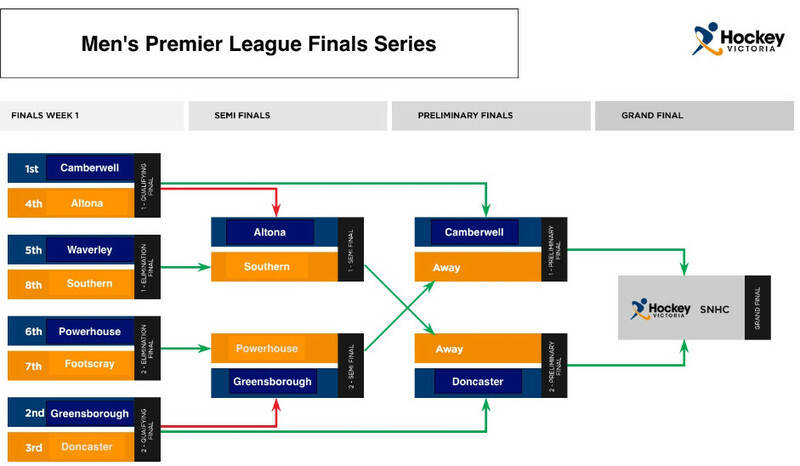 Confused how the finals work for premier league. You are not alone. This is how it stands for our Men’s Premier League team and our Men’s Premier League Reserves. What a weekend of finals. The Friday night started with the under 14 mixed shield playing the unlikely candidate of Burra in their preliminary final. Both teams were fourth in the conferences, and Burra had a surprise win over Essendon last weekend, and the Southern team had played like a team of champions they are last weekend to beat Donnie. This weekend the might of the Southern team took hold, taking the match 7-1. 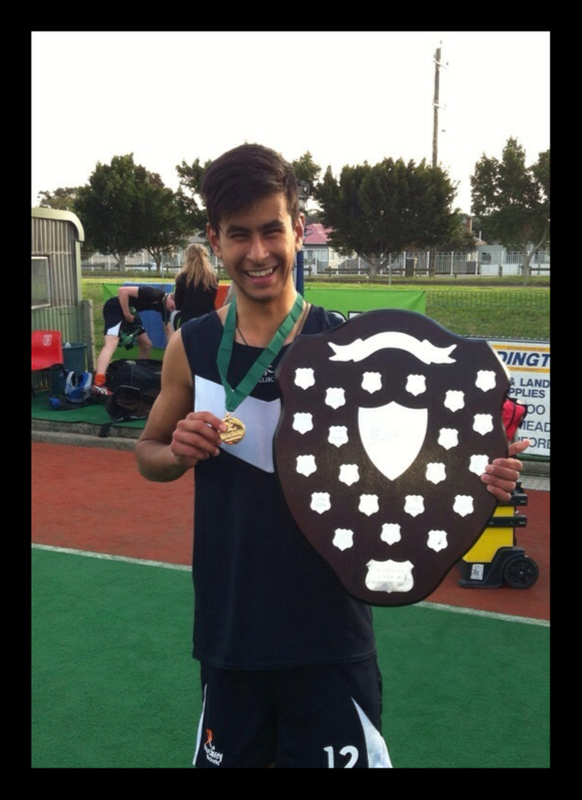 At SNHC, the 16 mixed shield played Altona. After not the best first 10 minutes, the team started powering forward and with some incredible passing between the team and an another incredible goal by Carlin from the baseline, the team took the match 10-0. The under 18s played local Mentone at Farm Rd for their final, and finished with a great 4-0 win to face Burra – again – next week for their grand final. The under 12 girls shield came back with vengeance after their loss last week, and kept their cool in a very tight game winning 2-1. Tough day on the pitch for our men’s teams. On Saturday the PE guys travelled to Yarra, to a tough home crowd. 1-0 down at half time, but the Yarra boys finished stronger, Southern going down 6-0. We live for another try against Brumbies at home. The metro A guys travelled to Donnie, the younger stronger team ran away with Southern going down 2-0. Like Pennant E they have another chance at home against Brumbies. Pennant F had a tough game against a surprisingly strong Powerhouse, with Powerhouse taking the match 5-2. They too have another chance, also against Brumbies. Metro B, the ultimate team of the “mosquito squadron” and “less young” sadly went down to Frankston 1-0. Great work guys to get that far. For the pennant D team, the game at PEGS was the end of a very long week of an off again on again final. The guys knew they could do it if they played at their best. The 3-2 win with some beautiful touches from Rob Graham really was a great finish for the weekend. Never has the song been sung with such gusto. Next week Camberwell. Thanks to Suzie and Helen, together with all the families of players that made it all the way to PEGS. Under 12 mixed pennant it would be great if you can make it to Camberwell to see your coach Andrew Layzell show his skills. After a strong start to the season for women’s pennant B and pennant F teams, the latter half of the season has not been as kind. They both went in to the finals 3rd on the ladder, but could not quite get there in the elimination final. The pennant B team went down to Hawthorn 2-1, while Pennant F went down to Camberwell. The metro A ladies finished on top of the ladder, suffering their only loss in round 18. The qualifying final against OHA also did not go their way, going down to the wire with a penalty shoot out, and OHA getting the gig in the grand final. Metro A will play St Bedes in the preliminary final this week. Metro B was the ladies team with the win for the weekend, beaten Bayside at Dendy St, giving them a preliminary final berth against Monash on the weekend. On behalf of the SUHC Women’s Committee, we would like to extend our most sincere thanks to Brian Paxton (Packo) for the dedication, commitment and enthusiasm that he brought to the women’s section of our club three years ago. Packo took over a squad of generally very young players (interspersed with some wily players!) not really knowing what to expect. Having never coached females before, he was definitely in for more than he knew! After a slow start to the 2014 season, he guided this young Women’s Vic League 1 (WVL 1) team into the finals in his first year. This culminated in an outstanding finals series by beating MUHC, then Yarra and ultimately Kew for the 2014 premiership. Our reserves team that year performed admirably throughout the year only to lose the Grand Final in a close encounter….clearly a wonderful achievement by the teams, coaches and all concerned. 2014 paved the way for success of even greater importance in season 2015. Despite missing several players at different stages of the year, often through junior representative duties, Packo led the team to the minor premiership at the end of the season along with the ultimate prize, promotion to the Women’s Premier League (WPL) for season 2016. Depth in the WVL1 squad had developed sufficiently to accumulate a remarkable 47 out 54 points for the home and away season. The games against Yarra in August 2015 when promotion to WPL for season 2016 was secured will long remain in all our memories – it was also Packo’s birthday…..what a present for him to deliver for the club! Packo’s planning, attention to detail, hours of hard work behind the scenes and dedication to work with other coaches and support staff is a testament to the person he is, always with the good of the group or team as his primary motivation. 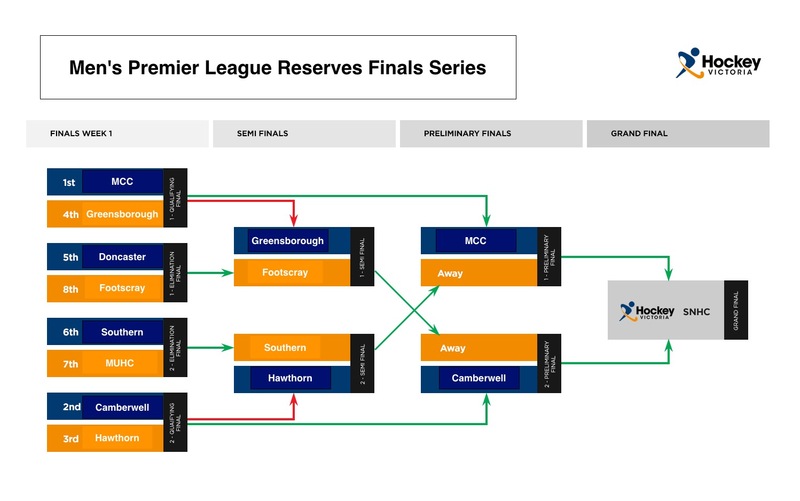 This has been the first season as SUHC that we have competed in the WPL and the timing couldn’t have been better given Hockey Victoria’s plans for PL competitions. It has also been a season of mixed and varied emotions for Packo as he has guided the team through its transition into this level. It has been a challenging season for everyone. No one really knew what to expect and at times opposition teams took us for granted yet Packo retained his positive and committed outlook to help the squad to continue to develop. Our even younger WPL squad now has 15-20 games experience in a talented group that will be better for the experience and better for working with Packo and the coaches this year. We want to extend our sincere thanks to Packo for his years of work and for everything that he has enabled the past and present groups to achieve. We are in a far better place now to embark on and build the next phase of our WPL existence through Packo’s effort, work and his ability to have the team work together and work for each other. We would also like to thank Donna for the support that she has given to Packo and SUHC while he has been in the head coach role – we know that without her blessing none of this would have happened. Packo, thank you for everything that you have done – it will never be forgotten! Southern United Newsletter March 2016. The Southern United Newsletter has the latest information about what is happening around the club. Planning Ahead? Dates for your diary for juniors. February 1st onwards: Southern United Hockey Academy commences. February 28th, March 6th, March 20th: McKenzie’s skills clinics, including goalie clinics. Short and sharp ready for the 2015 season. Details available at McKenzie’s Clinics *** NOTE correction of dates. September 9th/10th September: Grand final for Under 12, 14 and 16. Southern United Hockey Club are saddened to hear of the passing of Alan Sheehy and pass our regards and best wishes on to Alan’s family. Alan played with Moorabbin in juniors in the mid 1960’s and later in the senior teams for a brief period. Alan then attended Monash University and played at that club before moving to Canberra for reasons of work. Alan was active in the ACT HA and most recently coached the 2015 Trans Tasman series Masters 45’s team. Alan was a keen player who demonstrated an ability to analyse the game highly effectively; an ability he transferred with great effect into his coaching. Congratulations to the award winners at the senior presentation night. And a very big congratulations and thanks to Mark Gardiner who was awarded life membership of the club. Hockey season finished, want more hockey? The under 11, 13 and 15 competition will run at Dandenong Indoor (JC Mills Reserve) on Sundays, commencing with Under 11, Under 13 then under 15. Under 18 will run on Thursday evening. Southern continues to hit the news. Check out the latest articles in the local paper. Get down to Farm Road this Saturday 20th June for our Big Match Day incorporating our $2000 Reverse Draw. Details on flyer linked below. Southern runs a program on Tuesdays 4.30-5.30 for younger children, generally between 5 and 9, to allow them to have fun learning skills of hockey as well as having small sided games to practice their skills. “Len”, as he was known to all, was one of two sons of Cheltenham HC Life Member, Charlie Anderson. Cheltenham, where Len first played hockey as a junior, was the club which joined with Bentleigh HC to form Moorabbin HC in 1960. Len continued playing in the Moorabbin junior teams and graduated to the seniors some time later. His contemporaries knew him to be an enthusiastic team member who always saw a bigger future for the club. He was on the Committee at an early stage and was instrumental in the formation of the women’s section in 1969, where Judy Stewart (LM), as a foundation player, worked with Len to establish the team. Gwen Learey (LM) was also of that era and was happy to welcome Len into the fold of the Old Binners, where she is chief organiser. I recall Len placing an advertisement in the local Standard Newspaper: “Players Wanted for Moorabbin Hockey Club” (which only had men’s teams) only to report that unexpectedly, he had several enquiries from women! He said it was time to have a women’s team and so the women’s section was born. His infectious sense of humour was always a welcome distraction at some meetings when discussion became too serious. In the early days, the club had to move from its original ground in Chesterville Road (where the Aquatic Centre is now located), to the more suitable Shipston Reserve. This was closer to where Len’s parent’s home was – in Booker Street, Cheltenham. He had a few mates who also played hockey, living very nearby: Neil Blackburn, Graham Taylor, Phil Howe, Steve and Andy Peck, Mike and Peter Sundstrom and others, all of whom also were Cheltenham juniors. Len reminded me that in his Primary School days he was able to go ‘yabbying’ in the wetlands at the end of his street. When Len retired from playing hockey to concentrate on family and work (as an accountant), we lost touch for a while. However, he always maintained an interest in the club and in recent times attended the match day lunches for Life Members and friends at the Farm Road clubrooms. Subsequently, he made time to come along to the Old Binners lunches, an informal group which meets about four or five times a year. He had a wealth of information of the ‘good old days’ and was happiest when regaling us with stories of that time. Len was one of the true ‘original’ members with a long history at the club extending back to his father Charlie’s time with Cheltenham. He was convivial and entertaining at lunch and we know he will be missed by those who regularly attend the Old Binners lunches. We extend our sincere condolences to Joy, his wife and the family. Also, our condolences to Marilyn, Len’s first wife who we knew well during his playing days with the Club. Hockey Victoria fees, which go towards player insurance, administration costs at Hockey Victoria and Hockey Australia. Southern United Hockey Club fees, which cover the costs of running the club, costs of team entry into the Hockey Victoria competitions and very importantly putting money aside over a ten year period to replace our playing surfaces when they wear out. Umpiring charge for senior men only. Each player will pay $30 ‘up front’, and when players umpire a game as rostered, they will receive their $30 back. Your total fee will consist of the appropriate Hockey Victoria fee, plus the SUHC fee, as below. Fee payment for the Hockey Victoria elements are required before you play any matches or Hockey Victoria will not regard you as an eligible player. Southern United also expect all players to have paid prior to playing any matches. We do understand that the cost of hockey is not insubstantial and we aim to be an inclusive club, so, if you have any difficulty in either the overall cost or timing of the Southern United elements of the fees, please speak with your section leader who will work with you in absolute confidence to find an amicable way forward. Players who join the club more than half way through the season may be eligible for reduced fees at the discretion of the section leader. SUHC are looking for Coaches for our Men’s Premier League Reserves and our Pennant A team. The ideal candidates will have strong understanding of the key strategies and skills required in modern hockey. As the roles will involve the management of a diverse set of players we are looking for someone with good communication and management skills. The coach will be expected to work with the other senior coaches in implementing the general strategies agreed upon by the Head Coach but will be given a certain amount of latitude to adapt the style to work with the players in their squads. These are very exciting opportunities for coaches wanting to be involved in a young dynamic group of players. Formal coaching accreditations are not a prerequisite, but any efforts towards attaining qualifications will be supported by the club. Come along to the SUHC’s Inaugural Hockey 5’s Competition on Saturday 20th December at Farm Road – all SUHC players, families and friends welcome to join in. Congratulations to Craig Marais & Carlin Walker who were part of the U13 Boys State team who played in the National Championships in Adelaide last week. The format this year was 11 games played over 6 days with no finals and the boys came in 2nd to winners NSW who went through the tournament undefeated. The team was coached and managed by SUHC players Jesse Workman, Chris Marr, Lachie Eddington & Helen Eddington. Congratulations to Will Carruthers, Billy Hanrahan & Trent Symss who also played in the U13 State Championships. Their team came in mid table (final table not yet published). Unlucky not to finish higher with some very close games (4 draws). Congratulations to Olivia Carruthers and Amy Lawton who played in the Victorian team in the Under 13 National Championships in Brisbane. The girls played a great series with a bronze medal behind NSW and Qld. Make sure you come along and celebrate the highs and lows of the season with a couple of drinks with your team mates. Ticket sales close at the end of September. The junior season is over. Congratulations to all our players, and thanks to parents, team managers and coaches. Missed the presentation nights? Check out the award winners here. Are you ready for indoor hockey this summer. Please see Indoor Hockey for information and registration. It is with much sadness we inform you of the passing away of Alan Hughes. Alan was a great contributor to the running of both Sandringham and Southern United Hockey clubs as a Junior coordinator, team manager and supporter of sons Ben and Chris who played at the clubs, and up until last year was a member of the Men’s Section Committee. Alan was a great supporter of the club at large and his presence at our games will be sadly missed. Our condolences to his wife Anne-Maree and children Tim, Chris & Ben. Funeral details are below. With great regret we acknowledge the passing of Sue Farmer, wife of Ross. Sue and Ross are Moorabbin District Hockey Club and Southern United stalwarts. We will remember Sue for her friendship, the loving support she gave to Ross throughout his extensive hockey career with Moorabbin Districts, Southern United and Victoria, and also for her affection for animals and particularly retired greyhounds. Make sure you get down to the SUHC Ultimate Games Day on Saturday 21st June. Games start after the end of the last game at 6.30 pm and include the final drawing of the tickets in the $2000 Reverse Draw. Make sure you get your tickets from your Team Manager during the week. More details on the attached flyer. Congratulations to the following U12 SUHC players who have been selected to play in the SSV U12 Hockey teams. Above is a photo of the 4 Southern United U15 team members who represented Victoria at last weeks Australian U15 Hockey Championships in Perth. The team played 7 gruelling games in 9 days in Perth’s extreme heat of up to 33 degrees. Needing to win the last round game of the competition by 6 goals to reach the grand final, the Vics scored 7 goals to make the final against NSW. In the final it was an amazing game that befit a National final, and despite leading 2-1 part way through the game the Vics went down 4-3 in what was there only loss for the tournament. 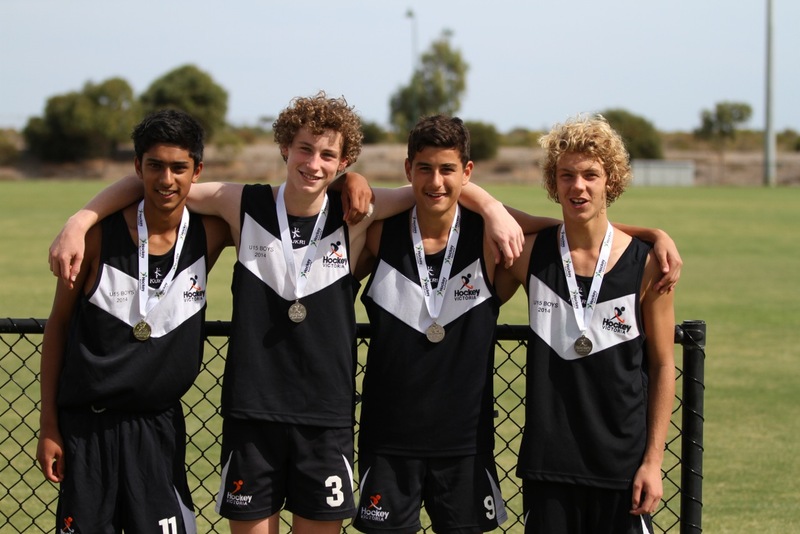 The Southern United players above, who play for the Southern U16 team from left to right are: Rahul Karri, Max Dalton, Nathan Ephrams and Josh Mulder. A reminder we have our first Winter Season Club Match Day to be held our Farm Road ground on Saturday 12th April. 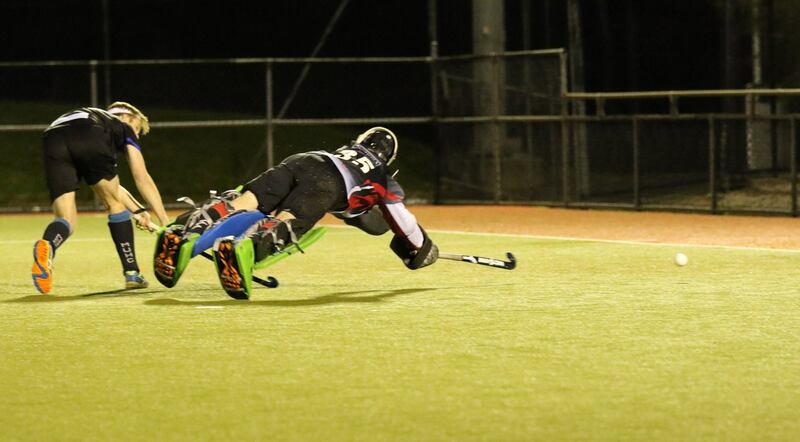 Mens Premier League R2 games has been unfortunately postponed by Hockey Victoria. The Match Day theme is ‘Heritage Day’ and includes a Life Members Lunch. Prizes will be given for best dressed in old Club uniforms and club colours. A BBQ will run all day. Bring the whole family for a wonderful day of high class hockey and fun with your friends. The 2013 AGM was held on the 6th April, 2014 at Farm Road and our Committee of Management was selected for the 2014 year. A new President, Roger Arnold, was elected after David Finlayson decided not to stand for the position again this year. 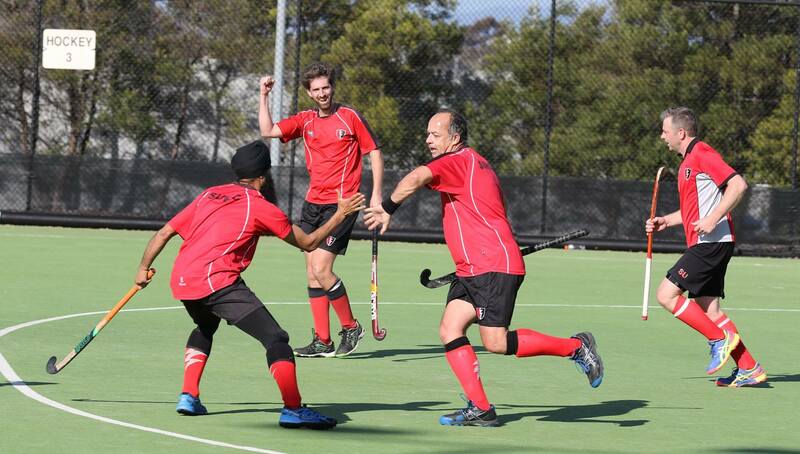 David has been President since the joining of the Moorabbin & Sandringham Hockey Clubs back in 2006. The club has gone from strength to strength under his leadership and he hands over a club in good shape. We all appreciate and thank David for his great work and strong leadership over the past 7 years. We also welcome Peter Paice to the CoM. Peter has taken up the position of Junior Section Leader. Congratulations to Amy Lawton for winning Victorian School Sports Blue Award for individual achievement. Well done Amy!!! During her time at Beaconsfield Upper Primar School Amy was school captain, house captain and represented her school in swimming, cross-country, athletics, hockey, basketball, chess and debating. A sporting all-rounder, she excels at hockey and was selected as a member of the 2013, 12 and under School Sport Victoria girls’ hockey team that won silver at the National Championships and the Hockey Victoria under 13 girls’ State team. She captained her school hockey 7’s team to the 2013 State Championships. Player registrations are now open for all SUHC players in Juniors/Seniors/Masters. The registration process will be a two step process, the new Hockey Victoria membership system is not yet up and running, so at this stage we are asking you to complete the registration and payment with Southern United, and at a later stage we will send out details how to register with Hockey Victoria. Please follow the instructions below. Please get your player registrations and payments completed as soon as you can. A form needs to be filled out for each player and once completed press submit and you will receive an email back (to the first email address listed) straight away from the club advising you of the amount to be paid and payment options as well as a generic username and password which give you access to the members only part of the SUHC website. If you could then make the payment straight after registering and make sure you include your unique code reference with the payment it will greatly assist us. For those paying more than one family member could you please email treasurer@suhc.com.au with details of the payment date and amount along with the unique codes paid. Congratulations to the following players who make the U15 State teams in 2014. Check out the details as reported in the Leader Newspaper. Phylis Howe, the mother of past player and coach Phil Howe, passed away on 3 January aged about 95 years. The Cheltenham based Howe family was involved with the Cheltenham and later Moorabbin Hockey Clubs. The club sends condolences to Phil and his family, including Matthew Howe, Phil’s son, who is a long standing member of the Mentone HC and was a highly rated senior umpire. Southern United Hockey Club is seeking expressions of interest for the position of WVL1 Reserves Coach for the 2014 season. The SUHC WVL1 Reserves side were Minor and Major Premiers in 2013 and they look to continue this success. The applicant must have appropriate coaching experience, exceptional communication skills, experience in developing and engaging juniors and young players, coaching styles to suit a variety of players and strong technical and strategic knowledge of the game. The successful applicant will work closely with the Women’s Vic League 1 coach and the Women’s Committee to develop structured and competitive team selections. All coaches are required to have a current Working with Children’s check. The level of remuneration will be negotiated and will be dependent on experience. Please email your covering letter, Hockey/Coaching CV and any other relevant information to Alisia Simmons (SUHC Women’s Section Leader) at alisia.simmons@bigpond.com. Applications close 5pm Friday 17th January 2014. A big thankyou to Mike Brooks for organising the Family summer competition. All the players and team managers would like to thank Mike Brooks for all the time and effort he put in organising, umpiring and keeping the games at a level young kids and older new players could really enjoy playing. Some of the best moments were Mike umpiring on his own and Ken giving Archie a warning for running to fast. Not often do we get a chance to play with family and friends or even play against 1st team playes as a 11 year old. It was great to see a team from St Lenoards play with a few parents here and there. The last game saw 5 Brooks v 5 Davey’s and 4 Pratt’s, enough said. Anyone who missed playing this year watch out for details next year – it is great fun. Congratulations to Brian “Packo” Paxton for being appointed the WVL1 coach for 2014. Brian has been a successful Men’s section coach, most recently being their PB coach and also Chairman of Selectors. Southern United Hockey Club is seeking expressions of interest for the position of WVL1 Coach for the 2014 season with the potential for this to be extended. The successful applicant will provide a leadership role within the club, on-field direction for players and support for the WVL1 Reserves coach. The applicant must have appropriate coaching experience, exceptional communication skills, experience in developing and engaging juniors and young players, coaching styles to suit a variety of players and strong technical and strategic knowledge of the game. Holding a level 2 accreditation is desired but not essential. The successful applicant will work closely with the Women’s Committee, the SUHC Committee of Management and other senior Women coaches to develop structured and competitive team selections. The level of remuneration will be dependent on experience. Please email your covering letter, Hockey/Coaching CV, outline of your coaching plan and training philosophy and any other relevant information to Alisia Simmons at alisia.simmons@bigpond.com. Applications close 5pm Friday 8th November 2013. A Position Description is available from the Southern United Hockey Club website, www.suhc.com.au. For any queries, please contact SUHC Women’s Section Leader Alisia Simmons on 0409 182 085 or email alisia.simmons@bigpond.com. To provide coaching and training for SUHC’s Women’s Vic League 1. To facilitate SUHC’s aim of attaining Women’s Premier League by 2016. Plan and facilitate all training sessions during the pre-season and playing season. Assist Women’s Committee in organising practice matches during the pre-season. Attend all WVL1 and Reserves season games as fixtured by Hockey Victoria. Attend an agreed upon number of SUHC Junior girls matches. Represent SUHC in a positive and professional manner at all times. Create opportunities for players to improve, both in skills as well as game play and tactical thinking. Work with and assist other coaches in developing structured and competitive squads. Plan and implement quality training drills for players of different abilities. Create an engaging and challenging environment for the playing group to thrive within. A recognised qualification in hockey coaching and/or appropriate coaching experience. Track record of coaching experience, including a proven coaching plan and training philosophy. Ability to work with and support players in further developing their skills and knowledge. Ability to work with and support other coaches. Exceptional communication skills with players, coaches, managers and general club members. Responsible for: Coaching, training and conduct of senior squad members. Liaises directly with: Team Manager, Chairperson of Selectors and SUHC Women’s Section Leader. Reports To: SUHC Women’s Committee and SUHC Committee of Management (as required). Remuneration for the position will be negotiated with applicants and will be dependent on experience. The above position is expected to cover the period November 22, 2013 to September 30, 2014. Extensions may be negotiated at time of interview. A reminder regarding the Special General Meeting. Please note the date is TUESDAY 22nd October. at 7.30pm at the Farm Road Clubrooms, Cheltenham. The special general meeting has one agenda item, passing of the new Club Rules, the update of Club Rules is required due to the new Associations Incorporations Reforms Act 2012. 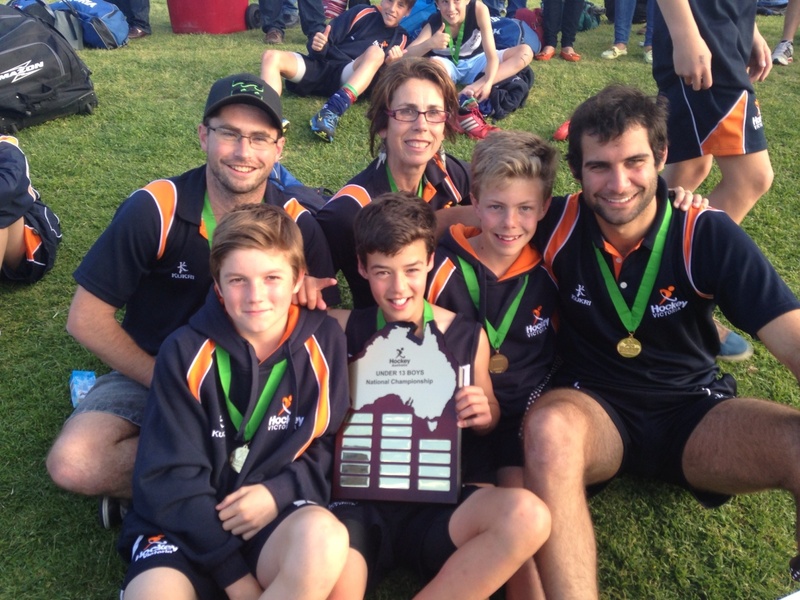 SUHC had 6 members involved in the recent U13 State Championships. Victoria defeated W.A. in the grand final. Players Alistair Hart, Brad Marais and Carlin Walker, who scored the winning goal in the 1-0 final, were coached by SUHC MPL players Jesse Workman and Michael Pearce and the Team Manager was Helen Eddington. Congratulations to all of you. Cancel the plans for the weekend and make sure you are free to come down and support our 3 teams in Grand Finals this weekend!! It kicks off on Saturday morning when our WVL1 girls play at the SNHC against Melbourne Uni on S1 @ 10.00am after that you can shoot down Citylink to Monash to watch our MM2S team play against Casey @ 2.00pm. After hopefully a night of celebrations it will be back up out to the SNHC on Sunday morning to see our WVL1 team play against Albury on S1 @ 9.30am. We all know how much better you play with a big crowd supporting you so please come along and support the teams. In line with the changes to the playing age groups introduced by Hockey Victoria this year – SUHC are pleased to announce the name of the Junior trophies that will be presented this year. Fixtures are out for the 2nd week of the Womens and Mens finals – see details below. Make sure you come along to the games and support your club! Monday night – more details to follow. Unfortunately, you will need to choose which finals you want to see on the Saturday as there are a number of time clashes. Obviously we have too many teams in finals for the HV fixturing system to cope! So, break out the crepe and craft paper and start making your pom poms and inspirational signs ready for this weekend’s action! Southern wishes you the best of luck and everyone hopes you have an excellent time! 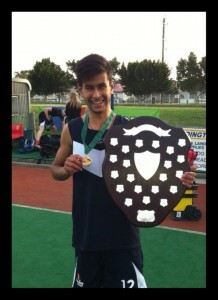 Congratulations to Josh Ephraums who was part of the winning U18 Victorian State team. The boys defeated NSW in the final on Saturday 2 – 1. Congratulations to all of the SUHC players who were part of the 2013 JSC held last week. For details on where the teams ended up please use link below. We are holding a club wide Silent Auction over the weekend of 24th/25th & 26th May. Congratulations to Josh Ephraums in making the U18 State squad! The Southern United MPL side which had not lost for two rounds faced the 2012 minor premier and promoted Essendon, at home. It was a test of where both teams were headed for the 2013 season. Although being competitive in the first half, Strikers forwards failed to capitalise on the chances we had and the half time score of Essendon 1, Southern United 0, probably reflected the game to that point. Ultimately, Essendon’s effective penalty corners (2 from 4) made the difference and they raced to a lead. Late in the game, we were awarded a penalty stroke for a defender’s breach on the line in a penalty corner, which Rowan Yeo converted. To their credit, Essendon controlled the ball in mid-field and mounted attacks. Turning over the ball proved to be costly to the Strikers and David Hammond in goals made some timely saves to keep the score as it finished at 4 – 1, a win to the Bombers. First round of juniors this Friday followed by a Big Match Day in support of Peter Mac on Saturday all at Farm Road…be there and support your club!! The opening round is nearly upon us starting this Saturday with the top 3 Women’s teams and top 2 Men’s teams playing at Farm Road starting at 12.30pm and finishing at 8.00pm. It is also the official opening of the ground so make sure if you aren’t playing hockey elsewhere that you come on down to Farm Road. More details to come soon. There are 2 parts to the registration process –you need to register with both SUHC and Hockey Victoria. Use this link https://memberdesq.imgstg.com/index.cfm?fuseaction=registration_0&RegistrationMode=1&OrgID=10870www.hockeyvictoria.org.au/NEWS or there is a link on the SUHC registration page. Select your Region asHockey Victoria – Metro and your club asSouthern United Hockey Club (not Southern). Enter details as requested and submit – you will receive an email from HV detailing your username and password for the Hockey Victoria database if you need to edit any details. A form needs to be filled out foreach player and once completed press submit and you will receive an email back (to the first email address listed) straight away from the club advising you of the amount to be paid and payment options as well as a username and password which give you access to the members only part of the SUHC website. If you could then make the payment straight after registering and make sure you include your unique code reference with the payment it will greatly assist us. For those paying more than one family member could you please email treasurer@suhc.com.au with details of the payment date and amount along with the unique codes paid. I am delighted to inform you that the handover of our new pitch at Farm road was completed on Friday last week. Members have already tried it out; the VPL squad couldn’t wait any longer and had a session on Friday night while some of the Masters and Juniors had a go on Saturday afternoon, while this years SUHA got their first look at it on Sunday morning. It looks magnificent and I can testify from experience that it plays as good as it looks although you will all be pleased to know that a comeback from retirement is still not in the offing. So get down to pre-season training and have a run on your brand new pitch. You will not believe how good it is until you’ve tried it. By the way you still have time to make a tax deductible donation to the ASF ground replacement fund which will stay open until the end of February. Every dollar raised through the ASF fund is dollar we (that is, all of us) don’t have to find from other club funds, so do not hesitate and give as generously as you can. Once you or your kids have tried this new pitch you will have no doubt that every dollar you have contributed has been well worth it. 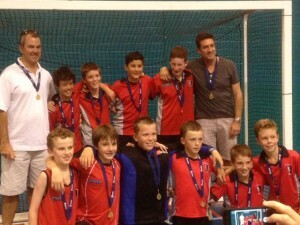 SUHC – Under 14 Victorian Indoor Champions! 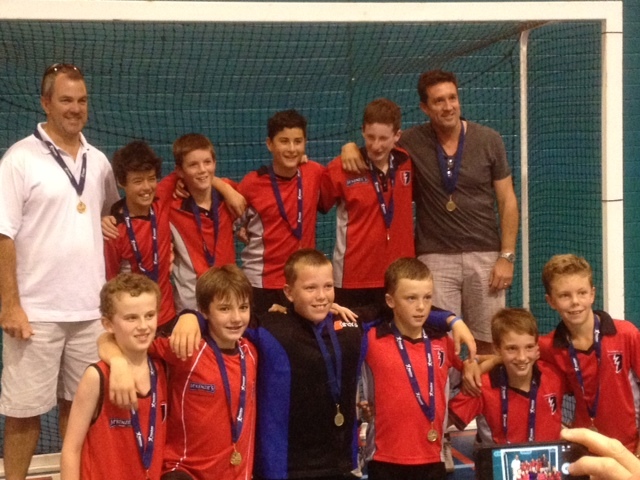 Southern United’s Under 14 Boys have won the inaugural Under 14 Victorian Indoor Championships! If you have more photos, match reports or a wrap up, please let webmaster@suhc.com.au know! As you can see, our new pitch is nearly ready for handover so you have one last chance to make a tax deductible donation to the Australian Sports Foundation (ASF), to the benefit of the Southern United Hockey Club Inc. – Hockey Ground Replacement project no. 213015 before the project finishes. Please remember that every dollar raised in support of the ASF ground replacement fund is a dollar we don’t have to take from other SUHC funds which can then be used to help support on other important club development initiatives such as coaching accreditation and skills development clinics. Please send your tax deductible donation and the accompanying form to SUHC Treasurer Greg Willcock, now. Join the 22 generous members who have donated to date raising $9,900 for the club to allow us to reach our target of $30,000. By post: Southern United Hockey Club Inc.
Every donation makes a difference so please help your club and yourself at the same time and support our Ground Replacement fund. Clearly this is an important season for the club as we contest the Victorian Premier League for the first time. We need to build upon our success from last year and start to transition ourselves into a professional and durable group. Pre-season starts in earnest on Thursday, 17 January. Please be at Farm Road at 6.30 pm for weigh-in and skin fold measurements; our running session will commence at 7:00 pm. All players form all grades welcome to join us, players aiming for the VPL or VPL reserves team your attendance is non negotiable. It is with much sadness that I advise you of the death of SUHC social member Ray Hall. Many of you will know Ray as Ron Noe’s offsider who was often around Farm Road helping Ron mow the lawns and tend the gardens. A keen photographer, Ray would also often be seen at Big Match Days with camera in hand taking shots of both the on-field and off-field action. Ray passed away on Monday 10th December 2012 after having collapsed suddenly while helping Ron mow the lawns at Farm Road. With the help of a member of the public, Ron bravely attempted to resuscitate Ray, but to no avail. On behalf of all members of SUHC, I extend my condolences to Ray’s wife Phyllis for her loss and thank and commend Ron Noe for his valiant effort to save his friend. ideal candidate will have coaching experience at State League 1 or 2 or equivalent or at an appropriate representative level. position should be forwarded to the Club Secretary. SUHC wins 2012 MSL2 premiership and promotion to the Premier League in 2013. U13GA wins the Ken Parkin Shield for the second year in a row after penalty strokes. U13S nudge out Knox for the flag. U15S wins in golden goal extra time against Frankston. Tamsin Nelson has been announced as the Most Valuable Player for HV’s Women’s State League 2 competition. The announcement and presentation of this prestigious award was made to Tamsin at Hockey Victoria’s Awards Night on 12th September 2012. Congratulations to Tas for a great season from all SUHC members and supporters. What a weekend for SUHC!! Out of eight junior teams in qualifying finals we now have six playing in junior Grand Finals this coming weekend U11A, U13A, U13S, U13GA, U15S and U15E plus our WSL2 who will join MSL2, MPE and WM2SE in senior Grand Finals…. Ten SUHC teams in grand finals…this is a sensational result for our club. It all started on a wet and windy Friday night with our U13A taking on Yarra at Monash University. In a fast running game of high skills, both teams started brightly and it was Yarra who took the early initiative and scored first. But their lead did not last long and after Nathan Ephraums roofed spectacular equaliser, SUHC took control of the game and ran out comfortable and deserving winners 9-2. SUHC’s U13GA reigning premiers followed and dispatched Camberwell 5-0 in a very impressive display. Once more this was a skilful and determined performance from SUHC’s talented U13 girls who now go into their second successive Grand Final and defend their crown. Well done girls. U17S Black lost 2-10 to Mentone. U15E beat Camberwell 5-0 for a spot in the Grand Final. U15S beat Mornington 3-2 and are now hunting a premiership flag. U13S beat Doncaster 3-1 for a Grand Final berth. On Saturday, the early morning start was at Doncaster at 8.30am with U11S taking on Casey. In a game of contrasts, SUHC controlled the ball for much of the time and constructed many forays into Casey’s half, but found scoring difficult. In the end it was the bigger and stronger Casey outfit that scored, invariably on the counterattack taking out the game 3-1 but not before a fine left post goal from Kaitlin McNeil. 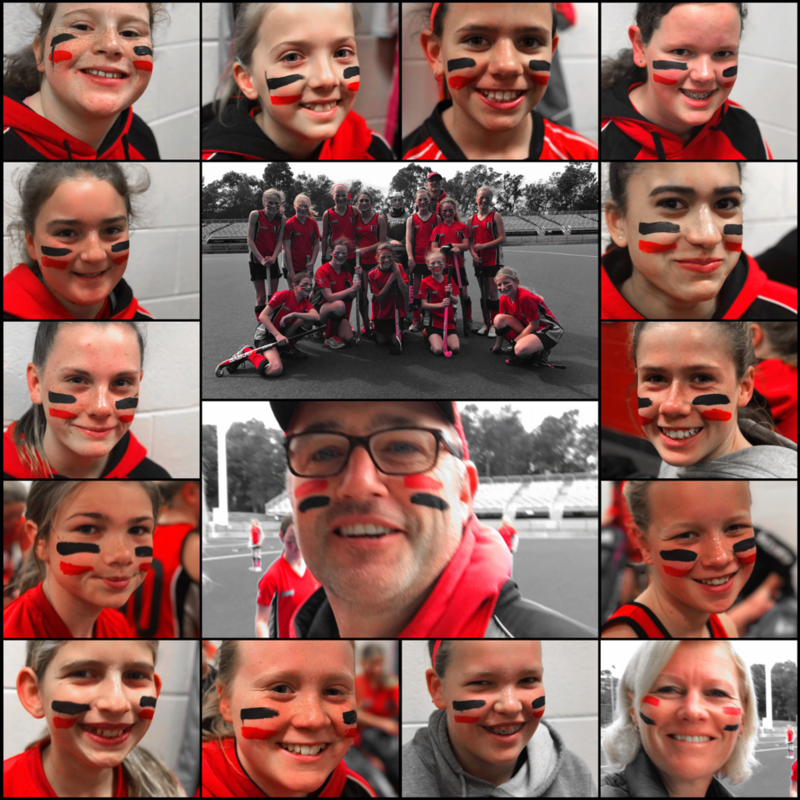 Across town at the SNHC our U11A played Essendon for a spot in the Grand Final in front of a devoted crowd that included some of SUHC’s MSL and MPA squad. In a match that was described by one astute MSL spectator as “an MSL game in miniature” SUHC was victorious 3-2 and now plays arch rival Camberwell for the premiership next weekend. And now to Sunday as WSL challenged Powerhouse/St Kilda for the right to play Hawthorn for the WSL2 premiership at the SNHC. It was a perfect day for hockey; cool, a little overcast but still and no rain, as the girls took the field. In another game of contrasting styles, SUHC played strong, possession hockey, moving the ball around the ground with confidence while Powerhouse looked to attack on the counter with a quick, high forward structure. An arm wrestle ensured but eventually it was Powerhouse who scored first while Southern was down to 10 players and they took their 1-0 lead into half time. Parity was soon restored in the second half with the equaliser coming from youngster Danni Luskie and despite both sides having chances to settle the dispute, full time came with scores deadlocked at one all. And so to sudden death golden goal extra time. Mercifully this was made relatively short following a dazzling base line run from Olivia Finlayson, who then passed neatly to Tamsin Nelson who took the chance and scored. SUHC were 2-1 winners and through to the Grand Final against Hawthorn next weekend. Congratulations to all teams who made the finals this year, you have all done very well and the club is proud of what you have achieved. Grand Final weekend promises to be a cavalcade of drama and excitement for SUHC with 10 teams vying for premiership glory. Sunday 16th September at the SNHC really is the pinnacle day for the club as both MLS and WSL play off for championship honours. For MSL the reward is doubly great since they play Albury/Wodonga who defeated league leader Essendon, 2-1 in extra time in the preliminary final. This means that the winner of the MSL2 grand final not only takes the premiership, but also earns promotion to Premier League in 2013. With so much at stake, for both clubs, this encounter promises to be a vibrant, high stakes affair with no place for the faint hearted. For WSL, it is all upside since they have all to gain and nothing to lose. A win over Hawthorn will see them champions and promoted to Premier League instead of Powerhouse. With so much to play for and an upset is never out of the question. WSL is first up at 9.30am on S1 versus Hawthorn, followed by MSL versus Albury/Wodonga at 11.30am. You just have to be there!!! A lot has been happening around your club in 2012. 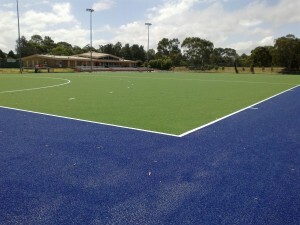 FIH approved (hybrid) surface on our pitch at Farm Road. years for this very purpose we still need to raise additional funds to help fulfil our obligation. most likely to be sometime in December 2012.
help with the re-surfacing of your club’s pitch. all SUHC members, young and old both now and into the future. 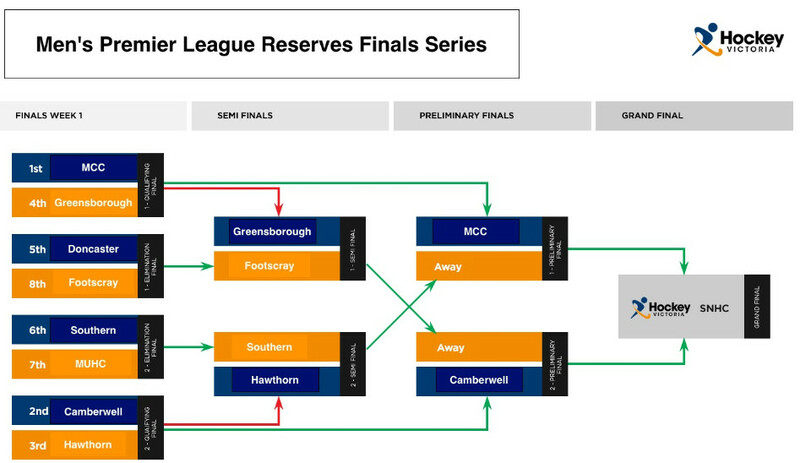 Three SUHC senior teams go straight to the Grand Final with two others to contest Preliminary Finals this week!! With the home and away rounds now done and dusted, SUHC started the first week of finals with 5 senior and 1 master’s teams in contention. Masters A started the week on a bright note last Monday night defeating Kew 4-1 in the first semi final to progress to the preliminary final against minor premiers Hawthorn. Well done gents and good luck in the preliminary! WMSE2 and MPE then led off the senior finals campaign on a pleasant Saturday afternoon at Waverley and Monash University as they both took on their respective league’s minor premiers ECHO and Footscray. WMSE2 started well and took an early lead only to go in a half time on par with the top side ECHO at 1 all. An even second half followed with SUHC finally breaking the deadlock not long before full time to take the game 2-1 and a slot in the Grand Final in 2 weeks time. Superb job ladies, a very well deserved result!! MPE took on minor premiers Footscray and carried a 1 goal lead well into the second half until the Doggies finally equalised taking the game into golden goal extra time in what was a hectic and entertaining game. The tempo did not flag in the first period of sudden death with both sides threatening to end it with a single blow, but just falling short….and then up stepped Packo. With two minutes gone in the second period of extra time and as in days of old Packo calmly found the right hand corner of the Footscray goal from a neatly taken penalty corner, and the game and a Grand Final appearance was ours. Smiles all round especially from Packo who was still doing a fair imitation of a Cheshire Cat some 24 hours later. MPD versus MUHC then followed in a game that in many ways mirrored the MPE encounter before it. SUHC controlled play for much of the time and finally took the lead after having constructed many scoring opportunities. However the Shoppers soon equalised and then took the lead with minutes to go in the second half. Once more SUHC rallied and had several chances to take the game into extra time but fell just short of the mark. 2-1 to MUHC and the end of the road for SUHC who had very good season and were unlucky to not go further. Well done men!! Sunday…Father’s Day and the sun was shining in blue sky as WSL ventured onto S2 at the SNHC to take on Albury Wodonga in the knock out WSL2 semi final. SUHC had a famous win and a gusty draw with the other Strikers in the home and away season, but this counted for nothing in this sudden death encounter. Both teams started vigorously with Albury having the best scoring opportunities especially on the counter attack and eventually opened the scoring despite some excellent last line defence from keeper Paige Andrew. SUHC then equalised from a Tamsin Nelson field goal to go in to half time all square. The second half was much like the first with Albury threatening and more SUHC goal line heroics this time from Shantel Hastings and Caitlin Campbell. However, Albury drew ahead once more and it took an equaliser from skipper Sarah Ashworth to lock it up 2 all at full time. And so onto sudden death extra time which was, mercifully, cut relatively short when Scarlett Blewett popped in the winner after a goal mouth scramble…and a place in the next round was ours. Super effort girls, and now for Powerhouse in the preliminary final. Two hours later MSL took to S2 in search of a Grand Final berth after having seen Albury take down Kew in a 6-5 extra time goal-fest thriller. Our opponents Essendon hadn’t been defeated all year and were firm favourites to extend their unbeaten run into the Grand Final. But sport is funny thing and it was SUHC who made the initial running, scoring early with a brilliant Mark Scully solo run goal, who then followed it up with second from a penalty corner soon after. Another converted corner from skipper Mark Tesoriero saw SUHC go into half time 3-0 leaders with many in the crowd pinching themselves to make sure they weren’t dreaming. But the Bombers were not done yet and scored quickly after the break to narrow the lead and then again soon after to further erode SUHC’s margin. An arm wrestle then ensured with Essendon creating several scoring opportunities but failing to convert while SUHC defended resolutely, sometimes desperately to hold them at bay. This momentous tussle was finally settled with a fourth SUHC goal, this time from Jesse Workman and SUHC ran out 4-2 winners and with a place in the MSL2 grand final. Final Fixture is out, get down to the games and support our teams in the finals. 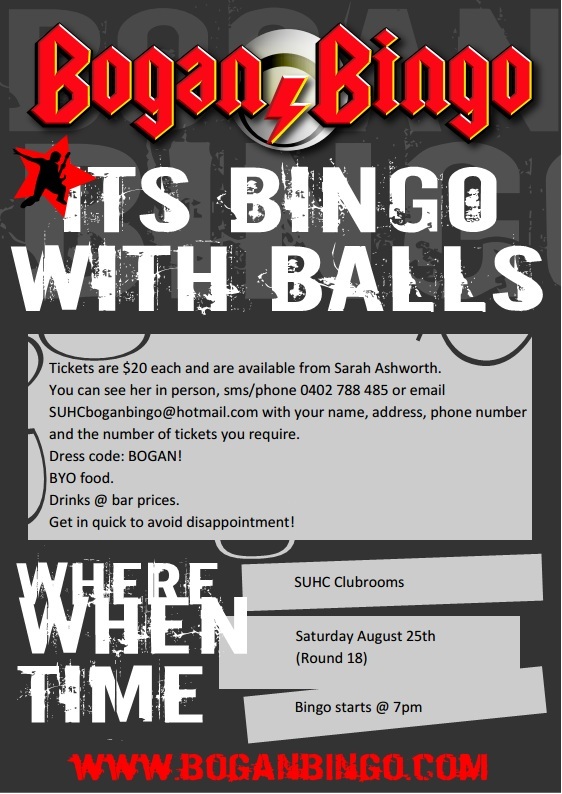 It’s Bingo with a touch of bogan! Put together a table and contact Sarah Ashworth for tickets. It kicks off at 7pm on August 25th (Round 18). Tickets – $20. Lots of prizes to be won! injuries and when to act. and tendon injuries in the growing person, but these certainly do occur. results in an increased risk of injury. reaction over the growth plate. during this period in the developing body, when injuries are more common. Farm road on alternate Thursday nights. It is with great pleasure that I can announce that following the acceptance of the City of Kingston (KCC) budget last Monday night, the long awaited and much anticipated re-surfacing of our synthetic pitch at Farm Road will go ahead this year. With the support of the City of Kingston and especially our Central Ward councillors Ron Brownlees, Rosemary West and Lew Dundas, we have been working closely with KCC Sport and Recreation personnel on the re-surfacing project since August last year. That we have been able to get this project up in such a relatively short time bears testimony to the long standing and cooperative relationship that exists between KCC and SUHC. The re-surfacing of Farm Road is a very significant development milestone for SUHC. The new pitch will be an FIH approved, “National“ standard dressed turf (or hybrid) pitch which will be a vastly superior playing surface that in itself offers all SUHC members the opportunity to enhance their hockey skills and knowhow and improve our club’s competitiveness at all levels. We are a fair way along the specification and tender preparation process with KCC and our plan is for work to commence immediately in the first week of October 2012 after this season ends. Naturally this will lead to some disruption to the off season activities normally held at Farm Road but we are working on alternative options so that the inconvenience to members will be minimal. Meanwhile we will keep you posted of the re-surfacing project’s progress including news on initiatives we expect to introduce to help fund it. 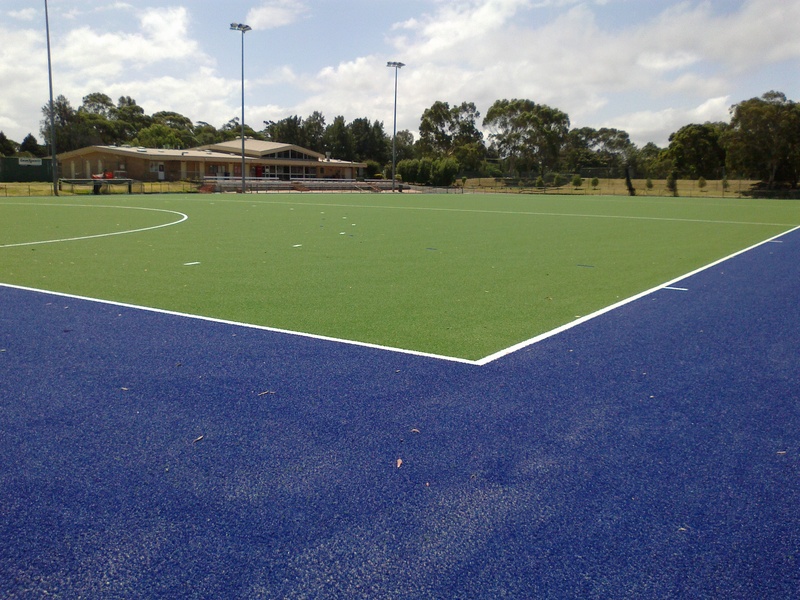 The re-surfacing of Farm Road is very positive news for SUHC and hockey in the southern and bayside suburbs of Melbourne. Please help yourselves and continue to support SUHC anyway you can as we move forward into new exciting phase of your club’s development. Did you know that all profits made by the SUHC Hockey Shop go back to SUHC? And we try to keep SUHC prices as low as possible so that members benefit from being able to buy the best equipment and club merchandise at very competitive, value for money prices. So support your club (and yourself!!) and see Greg for all you hockey needs and club gear at the SUHC Hockey Shop.